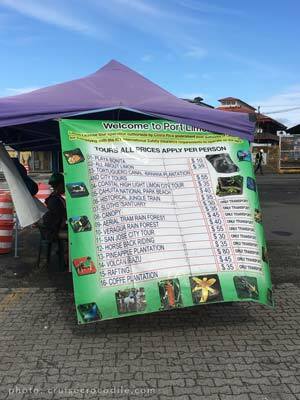 Read about Puerto Limon’s cruise ship docking location, taxi prices, tours, port maps and cruise tips in our Puerto Limon cruise port guide underneath. Welcome to the Puerto Limon cruise port guide. Costa Rica offers several cruise ports. Most of them (Puntarenas and Puerto Caldera) are located on the Pacific / southern side of the country. Puerto Limon would be the exception because it is located on the Caribbean / northern side of Costa Rica. Puerto Limon, also simply known as Limon, is a large city in the province of Limon. Its population is just over 55.000 inhabitants. The town offers a few places of interest not far from the cruise dock. Although Puerto Limon is not a renowned cruise destination, it is a place where can get a glimpse of daily life in Costa Rica. 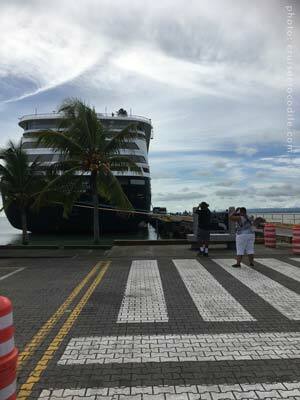 Puerto Limon is not the main reason cruise ships visit this port. It is simply the gateway to Costa Rica from the Caribbean side. From here you get to explore its wonderful capital city San Jose, visit the beautiful coffee plantations and enjoy its immens and diverse ecological wonders in the rain forest. Create the opportunity to get an encounter with the landscape and nature, because at this point Costa Rica is het “greenest” country in the world. If you are looking for just an easy day in town you can, but otherwise we recommend you to book a shore excursion or to take a taxi tour. Read all about the location of the Puerto Limon cruise port and your options for shore excursions and taxi prices underneath in the Puerto Limon cruise port guide. This is the Puerto Limon cruise dock. From here it is an easy walk into the town center. These are the taxi prices as they are advertised by the Puerto Limon cruise port and taxi union. The official taxis in Puerto Limon are red colored. The tour vans are often white colored. The cruise terminal offers free wi-fi in the airconditioned area of the building. 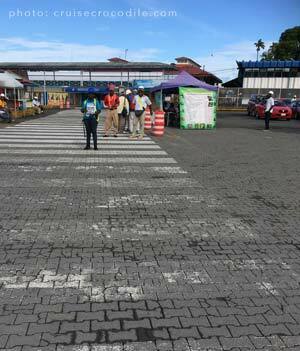 You will find more local tours are offered at the exit of the port. Right before you leave the port you will see this sign which suggests two walking routes through town that will come across all of the highlights. Cruise ships visiting Puerto Limon in Costa are able to dock in this port of call. Limon’s port offers a separate pier for cruise ships and is fully equipped with a cruise terminal, taxi stand and souvenir market. The rest of the port is all dedicated to the export of Costa Rican products which is mainly coffee from the central valley. The Puerto Limon’s cruise dock is located about 250 yards/meters from the city center, so it is an easy walk from the cruise pier to the downtown area. 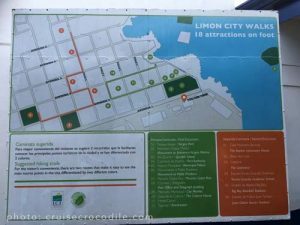 Limon’s cruise pier offers good facilities and a great welcome center. 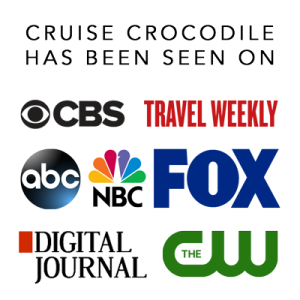 Walk off the cruise pier and you will be met by the shore excursion busses of your ship. They are found directly at the end of the pier. Prices above about are stated in US Dollars. All prices apply per person, not per taxi. Please know the tours only provide transportation and no admission fees or other services are included in the price. Make sure to ask your taxi drivers about additional fees for visiting the places on your tour and check with him if you can pay in US dollars. Remember, prices are subject to change. Directly next to the desk you will find the taxis waiting there for you. Official taxis in Puerto Limon are red, with a yellow triangle and taxi sign on top. Aside from the regular taxis there are also many taxi vans waiting for you here. These vans are white. 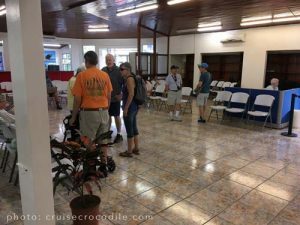 When you stepped off the gangway, passed the shore excursion busses and taxi stand you will be going into the cruise terminal of Puerto Limon. This is where you will find a wonderful craft and souvenir market. There are all kinds of handcrafts and local specialties offered here like oxcarts, baskets, ceramics and lots of clothing. It is expected you will negotiate and please know prices often drop during the day. So coming back to the ship will save you cash and a lot of hustle with carrying the souvenirs around all over town. Most vendors take US dollars. Make sure to bring small bill and your beste negotiation skills. 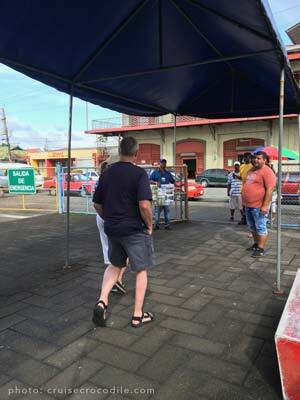 When you exit the market you will step into the AC part of the cruise terminal where you will find free wi-fi and some information stands that are often not open for business unfortunately. The port often doesn’t hand out any tourist maps or other sort of information although you will find there are lost of locals around which are more than happy to help you find your way. There are no beaches within walking distance of the Puerto Limon cruise port. The closest beach available would be Playa Bonita which is about a 15 to 20 minute drive from the port. If you want you can take a taxi to Playa Bonita for 10 US dollar per person. The official currency of Costa Rica is the Costa Rican colon (CRC), but US dollars are widely accepted in this port of call.